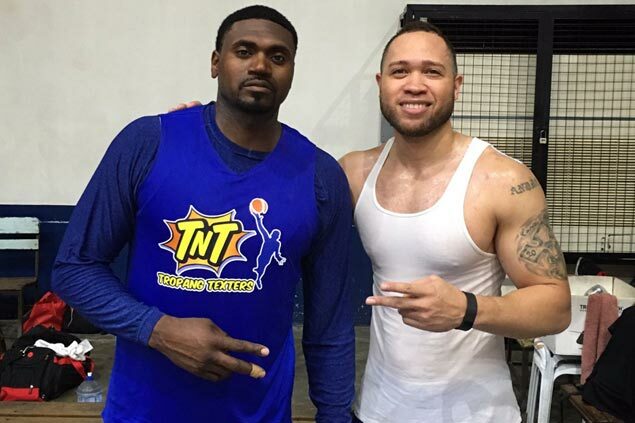 TROPANG TNT's title bid in the PBA Governors' Cup suffered a big blow on Friday when NBA veteran Jason Maxiell failed to make the 6-5 height limit for imports in the season-ending conference. Maxiell, a hulking import with a long line of experience in the NBA and other overseas leagues behind him, came in at 6-5 11/16 in two measurements done in the presence of representatives from other teams at the PBA office. TNT team manager Virgil Villavicencio rued the failure of Maxiell to make the grade but quietly accepted the decision, saying his team will always play by the rules. "That's the rule, wala tayong magagawa," Villavicencio told SPIN.ph. "We play by the rules." Villavicencio said Maxiell would have been fun to watch in the PBA owing to his skills and strength down low, which he has shown a glimpse of in TNT practices since arriving last Monday. "Lakas ng katawan, malakas rumebound, ang haba ng mga kamay," the former La Salle player said. "Iba yung experience at ang gulang. Kung maka-seal, sarado talaga." Still, TNT already has laid down a Plan B and head coach Jong Uichico is already burning the lines touching base with his contacts overseas, Villavicencio added.